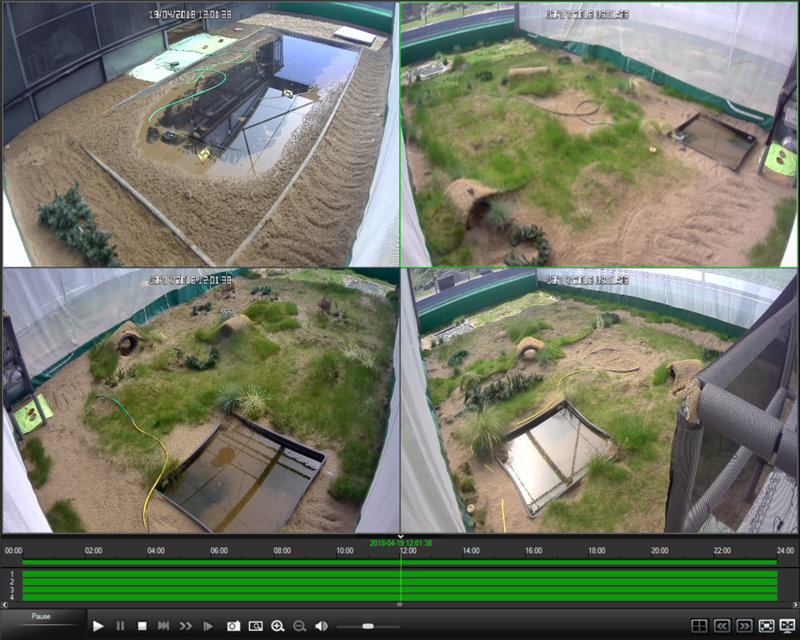 The seven females and their partners seem settled in their breeding aviaries… but will they lay eggs? 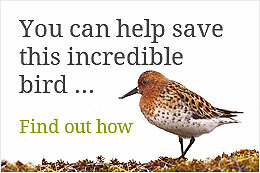 ‘Time-shifting’ the Spoonies, by six weeks, has so far, led to many birds acquiring breeding plumage six weeks sooner. With the beginning of territorial singing coinciding with the Beast from the East, bringing snow and tundra temperatures in the last week of March, we had a Chukotkan Spring at just the right time! Pink Red Right (2012 female) and Pink Dark Green Right (2012 male) showing off their breeding plumage. Photo by Jodie Clements. During the last fortnight, ‘paired’ males have been observed singing, more often than not on top of the 0.4m high mounds we made this winter. We expected these might be more likely to be used as ‘visual barriers’ behind which birds could hide, if need be, and not so much as places from which they could proclaim their presence, which they are: boldly! loudly! vehemently! Some males are also now ‘frog calling’ (something you have to see to get what we mean) and to ‘nest scrape’ with their partner females responding with sub-songs and wing salutes. So far two males have made nest scrapes and their partners have been inspecting these -nest scrapes are mini cup-cake size depressions in the vegetation and we cant yet tell if the girls are impressed with them… time will tell. 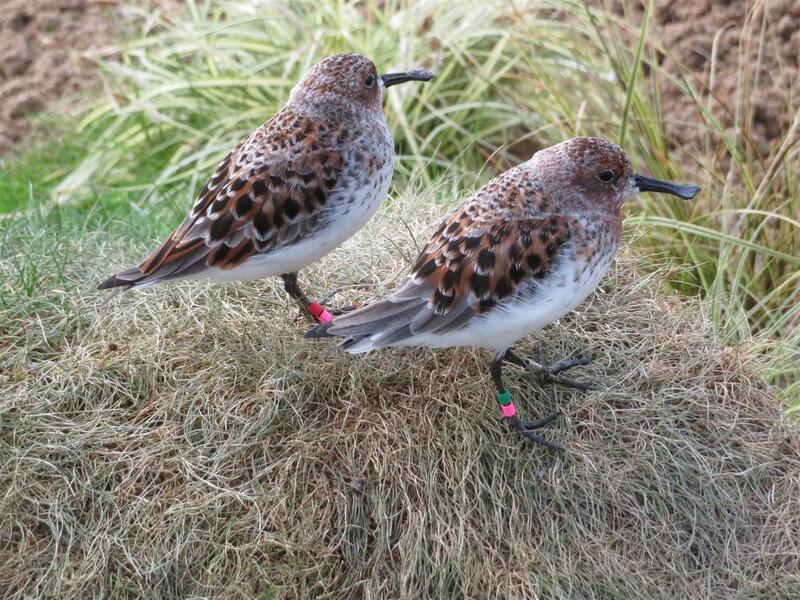 The Spoonies are monitored without disturbance through cameras positioned above the breeding aviaries. Note the recently installed mounds! Many thanks for the update. I hope that some of those nest-scrapes will be used! Fingers crossed.